An experienced business coach with decades of business ownership experience understands where you are with your business, and how to solve the challenges you’re dealing with right now and also in the future. There are business mentors, business coaches and trainers everywhere these days, and as one of the very first and pioneers of the business coaching industry, the industry has a great deal of difference in terms of quality of background and skills, so it’s wise to choose carefully. The most common reason for wanting a business coach is to get help with solving the very common challenge of – cash flow. Did you know there are ways to smash cash flow challenges permanently, that don’t involve marketing? In fact the best ways have nothing to do with increasing leads or advertising to generate more sales. Over 2 decades of coaching and mentoring business owners, “4 big business challenges” kept coming up with nearly all business owners, especially if the business had 3 or more employees. Most business coaches don’t actually have strategies (or enough experience) to solve all 4 of these major challenges, so its a good idea to ask any coach you consider about each one, and ask for examples of businesses where they have solved these challenges. Because solving them all will radically change your life as a business owner for the better – to give you “business freedom” with a better quality of family life, not just a profitable, cashed-up business. If you just want more leads, without spending more or using PPC, then our Marketing Fast Track training is perfect for you. 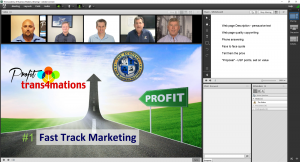 You’d be amazed at how many ways there are to increase leads from your website – for free – that this training goes into in specific steps you can do yourself. While increasing sales is important, this isn’t the best and nowhere near the fastest way to increase the cash in the bank. Hundreds of our clients have been surprised by first hand experience of that over the decades of our operation. The business (blue bucket) has “profit leaks” that prevent a high profit percentage of revenue, and because of that the business lacks cash in the bank, shown by the small profit bucket. By plugging the profit (water) leaks using effective, proven strategies, its very easy to increase the profit cash in the bank. 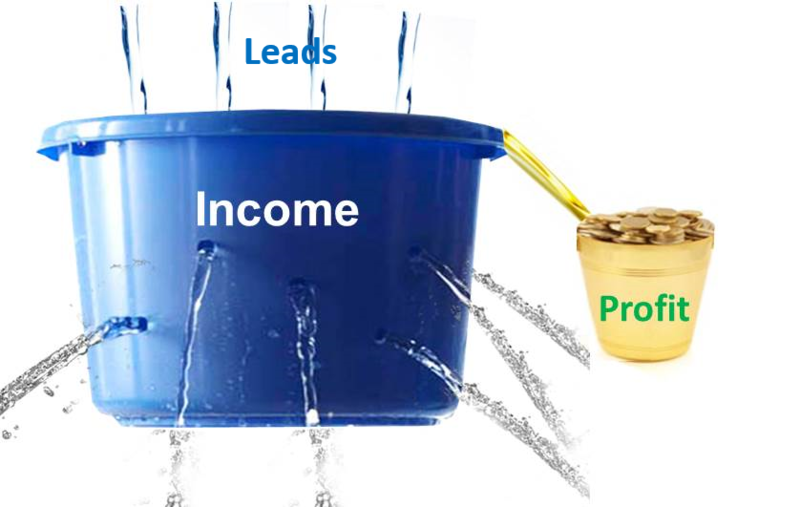 Putting more water into that bucket is like increasing leads as the way to increase cash and profit. It does increase income, but nowhere near as effectively as ‘plugging profit leaks‘ strategies. When you plug profit leaks, you can quite easily double or triple the net profit in a business, that leads to plenty of surplus cash to pay for lead generation without stress and profits grow even faster. It’s actually much easier to double the net profit in a business – without increasing leads – than it is by increasing leads. The net profit for countless clients has often doubled in 1 to 8 months, without increasing leads or advertising. It probably sounds impossible, but just look at some of the testimonials of real businesses you can find online to see for yourself. Cash flow is a challenge for most businesses, but it can be solved rapidly and permanently by increasing the net profit percentage, or “margin” with quality business mentoring or training. Few business coaches understand how to increase the net profit margin in a business because their focus tends to be on lead generation, social media marketing etc. 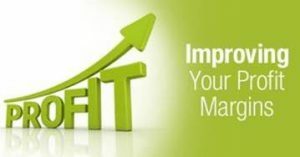 Increasing net profit margins is about management skills, not just marketing skills and there are many ways to increase the net profit margin, not just by increasing prices or reducing expenses. If you’d like to know more about business coaching and mentoring to address the BIG 4 challenges you’re welcome to inquire about my one on one business coaching and mentoring. Another, better, more comprehensive option is to consider business training instead of business coaching. It gives you everything business coaching does, but so much more. 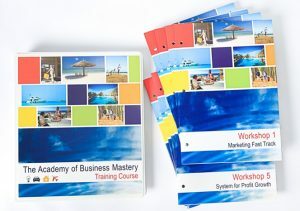 Business training is about giving you ready to use systems, that you don’t need to create yourself. Plus ready to use management reporting tools you’ll definitely benefit from, especially as your business hits the multi-million dollar revenue figure and beyond. Our business training saves business owners over 100 hours of their time, by supplying these ready to use systems and training them how to use them and even customise them to their business. Our business training program is the most thoroughly refined information you’ll find anywhere in Australia because of the 22 years of development gone into it working with over 1,000 businesses. Best of all business training is far more affordable than business coaching, because by supplying the systems and tools that all businesses need, we leverage our time time by training a small group of 3 business owners at the same time for most of the training, then customise and provide one on one coaching as well where needed. Training is a far better option of giving you the information you need, than one on one coaching. After 10 years of one on one coaching and then 12 with small group training, the results are better both short term and long term over years. Here’s some examples of the types of businesses by industries that have enjoyed great results from our coaching and training. Is your business industry on that list? Would your own industry of operation be that much different to some of these? What’s more important than achieving a great result for what you pay for? The results that clients really wanted is what I’ve focused on for over two decades – improving business owners’ quality of life. What if you could double or quadruple your business’ net profit in 6 to 12 months as clients have – without spending anything on increasing leads? To achieve that goal, a lot more than just sales and marketing strategies needs to be learned and applied. These are best covered in a small group using workbooks and digital systems and tools to use for implementing strategies on each of the 7 topics. And instead of paying multiple thousands of dollars per month, for an hour or so a week, small group training is more affordable as you also get double the time per month to learn. A small group environment with just 3 to 4 business owners only, means you also share the experiences of what you implement every session. All the one on one support you need is included, as often as you need it on every topic, so its the best of business coaching and mentoring combined with training. Instead of you having to create dozens of strategies and systems, as you do with a business coach, with our training dozens of strategies and systems are provided as ready-to-use. Our training saves you over 100 hours of creation, ‘working on your business’ time. 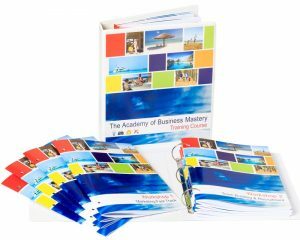 The training on all the 7 topics above, that conquers “The Big 4 Challenges in Business” is all contained in The Academy of Business Mastery. Since 2007 this training course has been delivered to many hundreds of businesses. The results have frequently been spectacular! Results such as the owner going from working 80 hours a week, to 32 hours and being able to take holidays anytime during the year for a month or two. 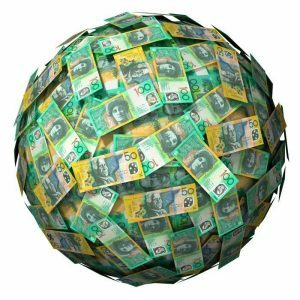 More cash in the bank as in over $100,000 or more surplus cash, after all invoices are paid. The success goals of the Academy of Business Mastery is to give you complete “business freedom” – where you’re in control of your life and all stress from business ownership has gone completely and permanently. How Do the Results of the Training Course Compare to Business Coaching or Mentoring? The Academy of Business Mastery sets these types of goals, and frequently sees them achieved. Best of all the Academy is far more affordable than business mentoring, and has no 12 month “lock-in contract” service delivery. The training is an 8 month, half-day every fortnight program, delivered over 16 sessions, and you simply pay as you go. The value of any training program should retain you interest, not a contract – and that’s the case with the Academy of Business Mastery. You’d be amazed at the depth and scope of the content, just as our 17 accounting firm partners are, who were often sceptical about it initially, but then recommended it after experiencing the content first hand. Experience in business is what gets results. There’s no substitute for it, however often experienced business owners aren’t very good mentors or trainers, so choose carefully who you work with. From experience, the level of results you can achieve can often be determined. Results for some clients have been having the choice of not having to work every day and taking a couple of months off stress and worry free. For others, its turning a loss making situation in their business around, so their business is profitably and growing again. There are dozens of challenges in business that the Academy of Business Mastery addresses, and solves, not just at your current level of size but also when your business has millions more in revenue. To find out more the best next step is to have a phone ‘chat’. You’ve probably still a bit sceptical about it, but keep in mind results are what you want and this training solution provides the best and highest quantity of results spanning 21+ years you’ll probably find anywhere in Australia. Or, book a convenient day and time to chat. Or find out more and access the brochure and course outline documents. Don’t have concerns about any pressure on you to do anything. That’s never going to happen. A lot of businesses are rejected to attend the Academy because they just weren’t ready or didn’t have the necessary mindset for it to work for them. We both want to be certain the Academy is a good fit for your business, because results from it matter just as must for our reputation as much as they do for you.